The District – Juniors Marled Fleece Full-Zip Hoodie Style DT292 is available in Juniors Sizes: XS-4XL. It can be purchased in your choice of the following colors: Marbled Black, Marbled Deep Red Marbled Evergreen and Marbled Storm Blue. 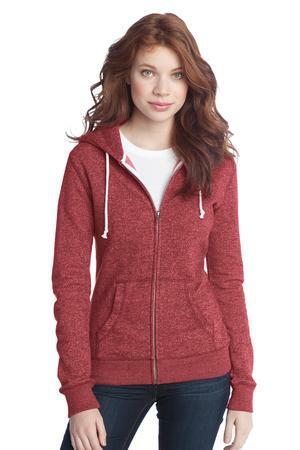 The two-toned appearance of marled yarn gives this hoodie a unique look. 8.3-ounce 60/40 cotton/poly fleece. The District Juniors marbled Fleece full zip hoodie can be purchased in your choice of the following colors: Marbled Black, Marbled Deep Red, Marbled Evergreen and Marbled Storm Blue. Be the first to review “District – Juniors Marled Fleece Full-Zip Hoodie Style DT292” Click here to cancel reply.